Wash rhubarb and chop into one inch pieces. Place in a saucepan with water, cover and cook over low heat until all exploded and juicy, about 20 minutes. Stir occasionally to check it's not sticking. 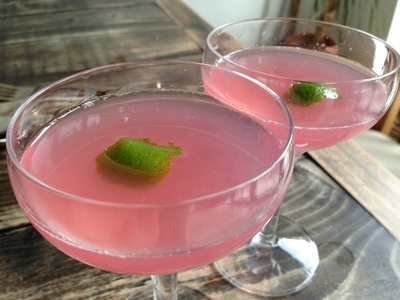 Listed below are links to blogs that reference this entry: Rhubarb gimlet.